That last great book you read…chances are you discovered it because someone took the time to read and review it. Chances are also good that the someone was a BOOK BLOGGER! The truth is Indie Authors owe them a huge debt of gratitude, because without them even the best work might grow dusty on shelves and remain undiscovered. Not only do these bloggers give us the benefit of their opinion, they also give us a forum for rebuttal – it’s called comments and you can almost always leave a comment on a blogger’s review – either agreeing or disagreeing. Book Bloggers do this, and they do it for free. Yep, they are not paid for their reviews, not one cent. Oh, the author often sends a copy of the book for them to review, but shoot, that’s just common courtesy. I think it’s time we jump up and down, clap our hands and shout HOORAY FOR BOOK BLOGGERS! Today, I’d like to introduce you to a few of the Bloggers I’ve been fortunate enough to work with…and YES, I follow all of these blogs. I do so because through their reviews, I have discovered some new and wonderful books. Stop by and give each of them a visit, I promise they will make you feel very WELCOME. Thank you for such a sweet post. I love reading books, and really enjoy sharing my love of books thru blogging. =) “Spare Change” is up next on my reading list. Hope you have a wonderful week and can’t wait to hear what you think of it! Ditto Melissa. Hi Bette. 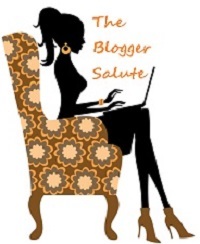 Thank you so much for the blogger love. Have a great day. Thanks so much for your wonderful mention Bette. It’s because of authors and their great books that I blog. I had so much I wanted to say and found a welcoming and interesting audience and friends to share it with. It’s been a wonderful community to be a part of! Thank you so much. What an honor! Bette, you are so right to honour these wonderful readers and to let them know how much their honest efforts are appreciated. Kudos to them and to you!